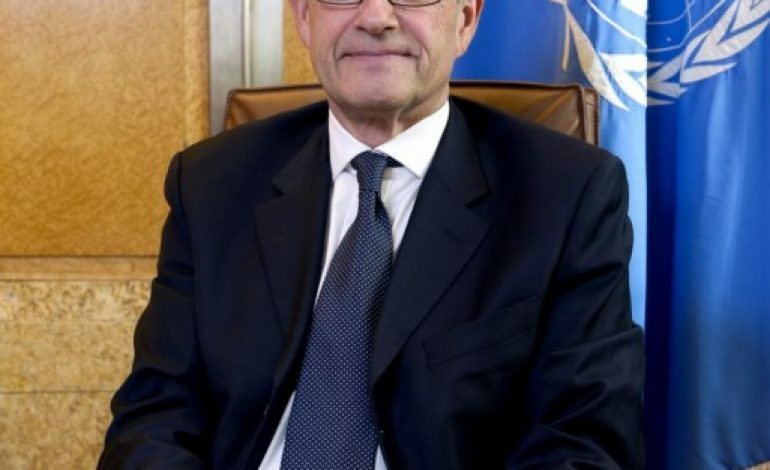 The General Director of UN’s office in Geneva (UNOG) and special mediator of UN’s secretary general on Cyprus issue in the period 2006-2008 Michael Moller, expressed the certainty that” there is quite a good foundation on which to move forward again. The two sides have to build on that” referring to the negotiations on the Cyprus issue. He also said that the economic benefits of the reunification will be huge both for the island and the region. Speaking to Athens-Macedonian News Agency Moller thanked Greece on the way it dealt with the refugees-migrants issue. “I think that Greece has been extraordinarily generous in the way it has welcomed the refugees and migrants. 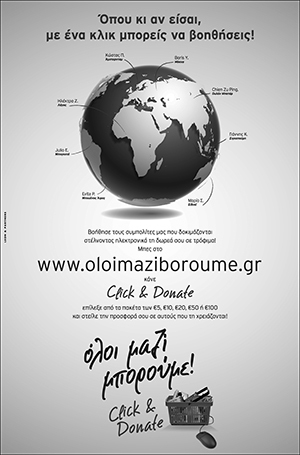 I think that the rest of the world has not been as generous in helping Greece”. He noted the need for peace to prevail in Syria because «It is quite clear to me and many who deal with this, on a daily basis that most of the Syrian refugees want to go home. And this is one of the reasons why the vast majority of them are staying in the region”. Question: The EU-Turkish agreement helped to address the refugee problem in Europe. How do you think the issue can be tackled in the context of the United Nations? Answer: What we look at right now is just a small slice of what we are most probably going to be looking at in the next decades to come. This agreement just addressed a European problem, which could have been better managed. Particularly in light of the fact that we have been through these problems before. If you go back to the late ’70s, early ’80s, we had pretty much the same problem in Southeast Asia. We had boat people, with massive amounts of people fleeing, we had people being killed on the high seas, we had doors closed, borders closed etc. And at that time the world sat down and agreed on a comprehensive plan of action and over a number of years resettled millions of people very successfully. We stopped the need for people taking to the seas, stopped the suffering, stopped the death on the seas. I never understood why some of the solutions that were found then, were not replicated in the current crisis. My bigger problem is that it is simply not enough to just look at the problem we have in Europe now. Climate change is a major threat. We already see and we will see more people on the move unless we solve the climate change problem – and it does not look like we are to do that anytime soon – tens if not hundreds of millions of people on the move in the next decades. We have to really sit down collectively, internationally, and come up with new structures, new laws, new instruments to deal with massive movements of people on a scale we have never seen before. Clearly, many of those movements will first happen in different regions, but even those regions are going to need help. So we are working on it. There is a lot of work being done on two compacts, one on refugees and the other one on migration that the UN member-states will debate at the end of the year. I hope it will be the first building stone, a foundation stone, for further discussions that will lead us to much greater collaborative effort on how we are going to deal with the future. Right now we are only looking at the next couple of years. Q:Are you satisfied on the way Greece addressed this issue? A: Yes. I think that Greece has been extraordinarily generous in the way it has welcomed the refugees and migrants. I think that the rest of the world has not been as generous in helping Greece. Maybe it should have been a little bit better at that. But I know that my colleagues in UNCHR, and IOM and others are very grateful to Greece for the way that it has dealt with it. Q:How is the UN helping Greece in addressing this issue? What measures can the UN assume to help Greece? A:The measures we are doing already. It is financial help, it is a substantive and human resources help that is pushing others to also provide funds. Q:Do you think that these measures are adequate? A:I don’t know, but usually in these cases, especially when you are the receiving country the measures are never adequate. Almost by definition. So one can always do more. The problem of course is, for example, if you look at the UN High Commission for Refugees, they are responsible for giving assistance to over 60 million people, close to 65 million people in the world. So, it is not just Greece that needs help. Q:Everyone recognizes that the source of the refugee issue in the Mediterranean, and especially in the Aegean Sea, is the conflict in Syria. Do you think that peace in Syria will ease the situation? A: I think that when peace in Syria comes, of course it will ease the situation. It is quite clear to me and to many who deal with this, on a daily basis, that most of the Syrian refugees want to go home. And this is one of the reasons why the vast majority of them are staying in the region. They are in Jordan, in Lebanon, in Turkey. They are not all fleeing to come here. The answer to the problem is a hypothetical one because right now we are not particularly close to any kind of peace in Syria. That’s where the world has let Syria down, has let the region down, has not done enough to push for a political solution which is the only one that can solve this crisis. It is quite clear that a military solution is not going to do it. More needs to be done there. It is also a matter of the region getting together in a much more collaborative way than is actually the case right now. Unless the countries of the region get together to agree on how to help solve the Syrian problem at the political level, we will not have a solution. Q:How have external interventions impacted on Syrian issue, such as the Turkish invasion and possession of Afrin? A:All of them have impacted. Everybody is intervening in Syria. Of course all of these different actors have had an impact and have a continuous impact with continuous changes in the allegiances, in the alliances et cetera. Clearly it does. But this is why I am saying, instead of everybody just taking care of their own agendas, one has to come to the table and come up with a collective solution, which is what we have been trying to do, both through the Geneva talks, and the talks in Astana, the talks in Sochi. My colleague Staffan de Mistura, Special Envoy for Syria, is working incredible hours and he is a perennial optimistic and determined to make peace. So is our Secretary-General. Q:So you don’t see any solution in the Syrian issue in the near future? A:There is always a solution. It depends very much on what the world is going to accept. More and more it is clear that military situation on the ground has changed. And people have to accept that fact and get to grips with it. And that getting to grips with it means to sit down, talk around the table with some mediators, like Staffan de Mistura and others, to come to a solution that maybe not everybody likes. Q:Do you think that USA’s withdrawal from Iran’s agreement will deteriorate the situation in the wider region? A: It diminishes the trust in those kinds of agreements for the future as well. So, as many others, I find it regrettable. Particularly since everybody else involved thinks that it was a workable deal and that it should be kept. Other partners, Russia and the Europeans, China as well as Iran, are very keen to maintain the agreement. And I think we should, to the extent that it is at all possible because otherwise the world may be back into an arms race. Q:The US decided to move its embassy from Tel Aviv to Jerusalem and has triggered violent reactions. How do you think the situation can be de-escalated? A:Both sides have to take a step back. The kind of violence that we have seen is simply not acceptable. The provocations from one side and the exaggerated use of force on the other side is both against international law and it is also against any kind of moral precept. It is clear that Israel has the right to defend its borders, but international law sets the bar for what is acceptable use of force in these particular kinds of situations. Everybody needs to sit back, on both sides and start talking. I know that it is easy to say, particularly in the Palestinian – Israeli conflict that has been going on for so long. Violence creates more violence. The Secretary-General has asked for an independent investigation into what happened there. So that those who were responsible can be brought to justice. As we have done in the past, as Israel itself has done in the past in similar situations when excessive force had been used. So that is the first step that has to happen. Q:Is peace in the Middle East possible after the last developments? What initiatives is the organization expected to take to ease tensions? Is a realistic scenario still the two state solution with both countries living side by side in peace? A:It is first of all the solution that has been agreed to for many years. It is the only viable solution that is on the table and it may well be that down the road the realities on the ground will change the parameters of that solution. But until there is another solution that is negotiated and agreed to by both sides and by the international community, this is the solution that we have to go for. Q:You have served as Secretary General’s special representative for Cyprus from 2006 to 2008. It seems that the negotiations on the Cyprus issue will resume. Which lesson have we learnt from the past? A:The last set of negotiations went further and brought the two sides much closer together than they had done in the past. So there is quite a good foundation on which to move forward again. I think there was a missed opportunity again. The two sides have to build on that. It would be good to take a step back and look at where we are in the world today. First of all, look around you in the region and see the results that missed opportunities can bring. There are some lessons to be learnt from that. Particularly on an island that, by all measurements, is at peace. But also look at some of the studies that have been done in the past, which show very clearly that the economic benefits of reunification are huge, for the island and for the region. And particularly on an island that is well-educated, has extraordinarily well developed infrastructure, and has a geographical important position where it can act as a kind of service centre for the lower Mediterranean. There are so many advantages for Cyprus, that it is still a mystery why this is still a problem that has not been solved. Q:Do you think that in the 21st century we can talk about the guarantor powers of an independent UN state and the EU with foreign troops? A:The whole Cyprus is a member of the EU. It’s not just one half of it. Just that the acquis communautaire is suspended in the North until unification happens. So let’s get unification going. I am not talking about other powers; I am talking about the Cypriots themselves. And I think that practically everybody will be behind them if they finally decide to do so. This is a problem that should have been solved a long time ago. Q:Do you think that the solution has to include the guarantor powers? A:Of course, by the law it has to be. But part of the solution is also that once the solution is there and has been signed, those guarantor powers fall away because the reasons for them to be guarantor powers will no longer exist. And particularly since Cyprus is part of the EU and Turkey will be part of that solution… there are manageable and logical solutions to be found to this problem. We are talking about an island of about a million people. This is not rocket science. Q:Regarding the issue with North Korea it seems that its relations with USA are smoother. Are you optimistic over peace efforts to denuclearize Korean Peninsula? A:So far, yes. Let’s see what happens. That is a file that has gone up and down so many times that it is a little bit difficult to predict. The crystal ball is a little murky. Q:Is the UN thinking to appoint a mediator? A:Only if people ask for it. The Secretary General has been very clear that he stands ready to provide his good offices. He is talking to all partners and the parties and if it is needed, that’s what we’re there for.